It’s the Flowering Currant a.k.a. 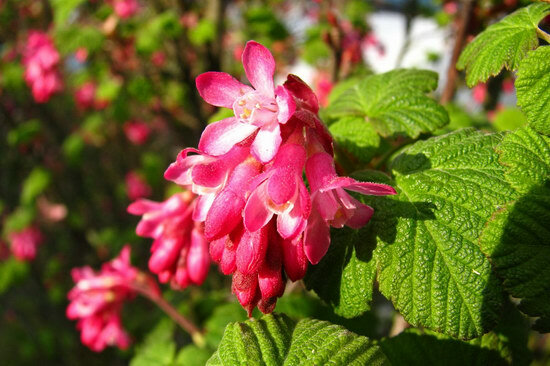 Ribes Sanguineum making a return appearance as every year on the parking lot of one of our local supermarkets. Hence we call it the supermarket flower bush :-).